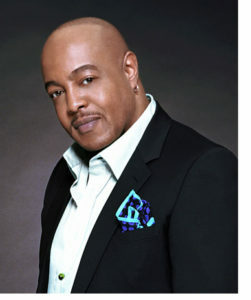 Peabo Bryson has established a career as one of the premier male vocalists in contemporary music of the last quarter century. Possessing a beautifully rich, almost operatic voice, this two-time Grammy Award-winner has survived and prospered despite the passage of time and changes in popular musical trends. With twenty albums to his credit, Peabo Bryson has enjoyed an unprecedented, across-the-board level of international success, Bryson has the distinction of being the first artist in music history to have separate records topping four different charts. Peabo Bryson is, at his intimate best, a legendary vocalist offering a timeless mix of pop and soul as only he can. Bryson has amassed a loyal fan base, critical acclaim and an avalanche of awards by being one of the “truly best friends” a song could ever have.